Here are five must-read pieces of advice to new and experienced landlords in Massachusetts. It happens regularly. A new or inexperienced landlord writes something into a lease or takes some action that seems reasonable, but in fact is illegal. The law wasn’t written by landlords. It doesn’t always make sense. And what’s more, no matter what two private parties agree to, tenants cannot waive their rights. Consider a landlord who wants to charge a late fee after ten days, because her mortgage is due on the 10th. Consider that her tenants agree to this before they rent the place, without duress, after having had a chance to consider other apartments. They put it into the lease. This makes good sense. This is illegal. Massachusetts may have the worst landlord-tenant laws in these United States. We cannot charge a late fee before 30 days, which is twice the next nearest state, Maine, at 15 days. We have to store an evicted tenant’s belongings for six months, which is three times the next nearest state, Vermont, at two months. If you try to evict a tenant who owes you $3,000 and you owe the tenant $3 in interest on their security deposit, the judge is going to end your eviction then and there. Don’t believe us? Read the links for yourself! 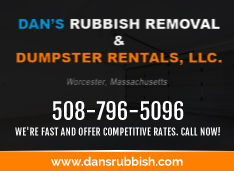 Residential rental property in Massachusetts is a highly regulated business. You can succeed, but you need to be able to read and understand the law. You cannot rely on common sense. Check out MassLandlords.net/laws for details and a reading list. Another common-sense fallacy is that if your rent is higher than the mortgage, you’re better off owning than renting. Not true! In fact, if you own a rental property, you might need the rent to be twice the mortgage payment just to break even. Landlords pay the mortgage interest, insurance, and taxes. But we also pay for repairs, improvements, tax preparation, credit checks, extermination, legal advice, MassLandlords membership, water and sewer, common area utilities, and all the supplies needed to clean, paint and maintain a property. Have you ever heard the expression, “Beaten like a rented mule”? People can be cruelly indifferent to the suffering of those who cannot complain. Tenants do not take care of your apartment like they would their own home because landlords will not see the damage until after the tenant has left. Your apartment may be just a rented mule to them. Your tenants may drop their knife onto your vinyl floor, lean their golf clubs against your painted wall, and dispose of toothpicks down your garbage disposal. Your repair costs may be large. The longer you take to repair, the more vacancy cost you will have. True, the mortgage is the biggest single line item, but it is probably only half the battle. The law in Massachusetts requires you to hire a licensed plumber or electrician for plumbing and electrical repairs. If you don’t, you may injure or kill someone. Bad plumbing leads to mold and disease. Bad electrical leads to fires. That said, there are many, many repairs that are both legal and practical for you to attempt on your own. If you make real estate your profession, you can become a licensed contractor and do it all yourself. YouTube has a host of videos on everything from digging a gutter drywell to painting crown moulding. Home Depot, Lowe’s, and neighborhood stores offer a range in quality and price to suit all jobs. Plaster ceiling buttons can tuck up a ceiling before it falls. Chopsticks can fix a stripped door hinge. And a new toilet flapper can save hundreds in leaking water. The techniques you learn from YouTube videos can save you literally days of labor and thousands of dollars. The best way to approach YouTube is in the evening before you decide to do a job. Search for “how to” and watch a couple videos about it. Find one video professionally produced by a box store or a supplier hawking their special products. Find another video made by a DIY owner with no budget. Watch videos until you start seeing the same advice repeated. Somewhere you will discover a truth or two that apply to your property. If after all that viewing you realize the job is above your pay grade, the knowledge you have gained will make you more effective at hiring a contractor for your job. Non-landlords usually tell prospective landlords not to get into the business. “My cousin had a tenant from hell, it took them eight months to get them out. Don’t become a landlord!” These horror stories are real. They are not fantastic exaggerations of minor incidents. In 2014, the longest Massachusetts eviction was one year, three months, two weeks, and two days. The most expensive eviction cost the landlord $32,776.90. This is a matter of public record. These are outliers, but still, the average eviction in Massachusetts in 2014 was over 55 days. As a new landlord, presumably with a small number of units and no legal experience, you must do everything you can to avoid eviction. Remember first and foremost that you are extending credit to your tenants when you decide to rent to them. The amount of credit is the duration of an eviction. You must screen them very thoroughly. Read MassLandlords.net/resources for help on background checks. Second, remember that your new tenant is a customer. Treat them with respect, attend to their needs, and in every way be business-like. Be neither too friendly nor too demanding. Finally, if it looks like the tenancy will not succeed, do everything you can to help the tenant move out willingly. If necessary, offer cash in exchange for keys. Court should be an absolute last resort. Although we do not track this data, we have heard it said that the average landlord lasts only two years. This may be true. If you screen badly, you may end up with a bad tenant. If you are not business-like, you may end up in court. And if you cannot persuade the tenant to move out, you may be bankrupt before two years are out. You must strive to be better than average. In fact, strive to be as good a landlord as you can. You must reach scale (with lots of units) before you can safely survive regular evictions. The best advice we’ve heard is “join your local property owners group.” The price of admission is the cost of dues, which we and other groups work hard to keep low. You will find connections with other owners who can teach you, connect you, and point you in the right direction. This is especially important advice because real estate is especially important and worthwhile. The tax advantages are significant. Owning real estate diversifies your portfolio. And land itself lasts forever (watch out for global warming). Real estate can help you navigate your twilight years in ways many will envy. One member defrayed college costs by buying a multi and renting to their kid, instead of cutting a check to pay for a dorm. Now the rental income keeps them retired comfortably. Another worked for decades nights and weekends to renovate their rooming houses. Finally they got to travel to Africa to see gorillas, and much else, fulfilling a long-term dream. Many with real estate do better than others with only pensions or retirement accounts. It is worth having to plunge toilets. We provide shelter, that most basic need, and together we can navigate the laws, the expenses, the repairs, and the tenant trouble. Together we can set aside our common sense, charge enough to cover twice the mortgage, watch all the YouTube videos there are, avoid game-over evictions, and set our retirements on solid foundations. 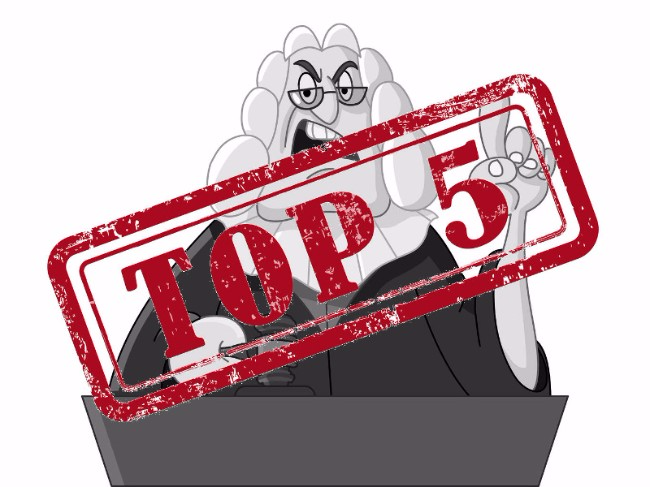 These are the top 5 things landlords in Massachusetts should know. Comprehensive training for prospective, new and experienced landlords. My tenant won’t tell me how many occupant’s are in the home. As a Landlord do I have a right to know?